Several years ago, a technique was introduced called, Content Marketing. This was implemented by a method which created and shared media and publishing content to acquire customers. Some thought this would bring an end to Search Engine Optimization. When Content Marketing came into use, it was said SEO brands then began to over extend the content they published. According to one author it was said the internet was close to being saturated with peak content. Experts fear SEO (search engine optimization) brands are only trying to attract clicks with the large content they serve. This practice is filling up the internet. Google, however, is eliminating poor quality content, making this claim exaggerated. Previously it was acceptable to fill up pages with keywords and links. They were intended to get customers to a website. This practice is no longer allowed. SEO brands can’t fill a page at the expense of content quality. A landing page must have value for the reader to get results in the search engine. A crisis point had been reached several years ago when search engines were flooded with volumes of low quality content. Google implemented, Panda, which downgraded sites using this practice. The refinements to this algorithm brought higher quality content. 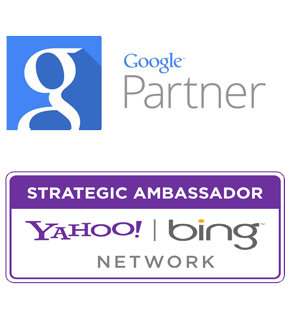 Yahoo and Bing followed Google’s lead. Search engines are continuing to get better at delivering high quality content Marketers that want to connect with their customers and establish a lasting relationship need to create smart headlines. To obtain this gateway, they will need great SEO brands to get them to their site. Even though it appears that the Content Market and SEO brands are battling against each other, the fact is they should work together. When put together the Content provides customers with good value, but they first need to find it. Working together, these two boost search engines efforts. SEO can’t go away due to it being the top method needed for customers to locate businesses the first time. It is a myth that people can find a business on their own. SEO brands get customers to sites with understanding of the audience, good Content keeps them there. If you have only regular content without any SEO, you will probably have an incredible read that no one can find. Content Marketing and SEO are different skills. This does not mean that they can stand alone.Combination of the two ranks better levels of search traffic. Marketers will need to focus their dollars at both techniques. They cannot get potential customers to their sites without SEO, they cannot keep customers interested in their site without good Content. So while some think that Content Marketing will erase SEO, the fact remains that one cannot exist without the other.